A growing group of dedicated sketchers, based in the Midwest...but traveling wherever the wind blows us. And do be sure to visit us on Facebook! These sketches were done when I was in Iowa with my wife. She grew up in Indianola, Iowa and we were there for her 50th high school class reunion. 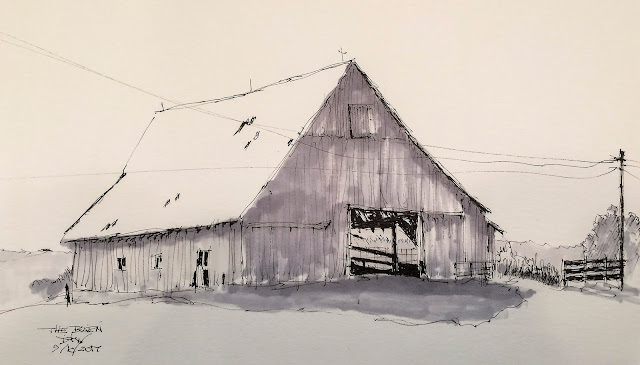 The sketches were done near Creston, Iowa on a farm that belonged to my wife's uncle, that now belongs to her cousin. In her uncle's day cattle and hogs were raised on the property. Today the land around the house, barn, and garage is planted with corn and farmed by a farmer who rents the land from my wife's cousin. The buildings are getting tired and as such were interesting to draw. Both pieces were done with a pen and graded grey scale markers. Hurray! Iowa! You've captured a glimpse of my state beautifully, Dave. 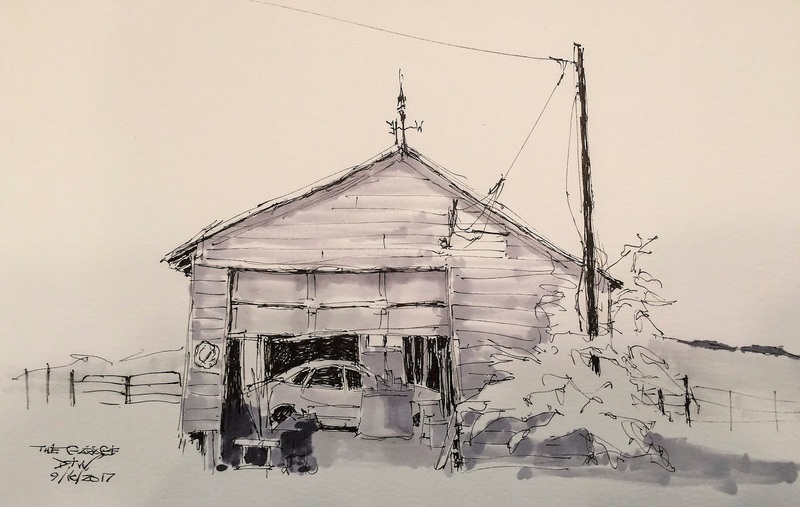 Sketchers who live in the Midwest region of the United States share their drawings on this blog. Please contact Cathy Johnson, kate at cathyjohnson dot info with questions or suggestions! 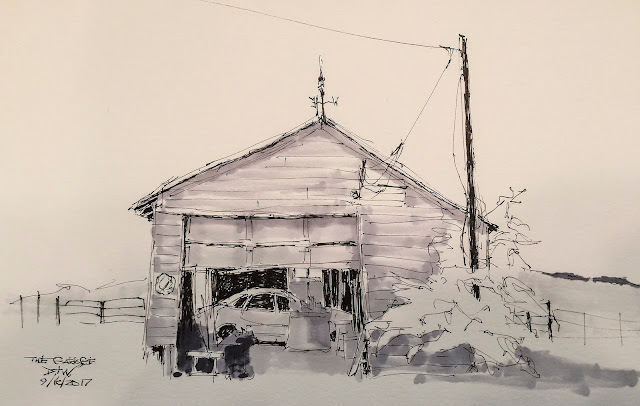 Thanks to artist-donors from USK.org and the USK Regional blogs you can purchase a fine art print, and support UrbanSketchers! Learn about our workshops program and contact instructors to come teach in your city.